Well it rained last night and it is still raining a little this morning. Took my time getting ready and having breakfast. At least I'll get to wear my waterproofs for the first time on this trip. Left the caravan park just before 8.30am and it was nice and dry. The original plan was to go via the Scenic Road which goes via Avoca and then would had stopped at the national park on the way down to Wagstaff. 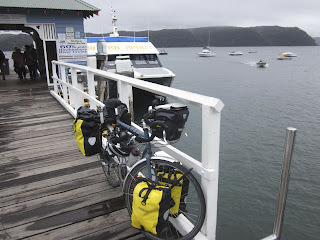 But because of the weather have decided to come through Kincumber and catch the ferry at Ettalong. I'm pleased I changed my plan, as just as I went through Kincumber it poured. Out came the waterproofs and on went all the lights and hi-vis stuff. Got to Ettalong just after 10am, so stopped for coffee. As the ferry doesn't leave till 11am. As soon as I stopped for coffee the rain also decided to stop. 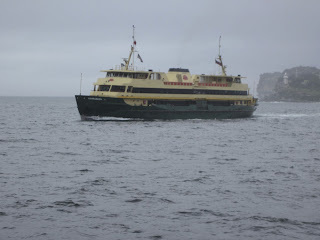 The ferry across to Palm Beach is pretty quick, so I got there at 11.30am. Continued my ride through the northern beaches of Sydney down to Manly. The weather started to improve, so I was able to take my wet weather gear off. The ride down from Palm Beach is generally pretty scenic, there are just a couple of short sections that you need to mix it with the main flow of traffic. 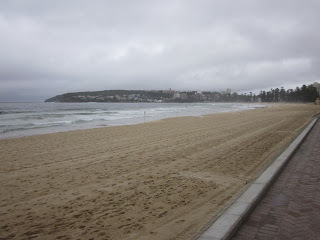 When I got to Manly I stopped for lunch before catching the ferry across to Circular Quay. Manly is a very popular daytripper destination from Sydney. But it wasn't too busy today, due to the poor weather. After lunch I rode around to get the ferry across to Sydney. This will be my 5th and final ferry crossing of this trip. It always fun catching the Manly ferry. 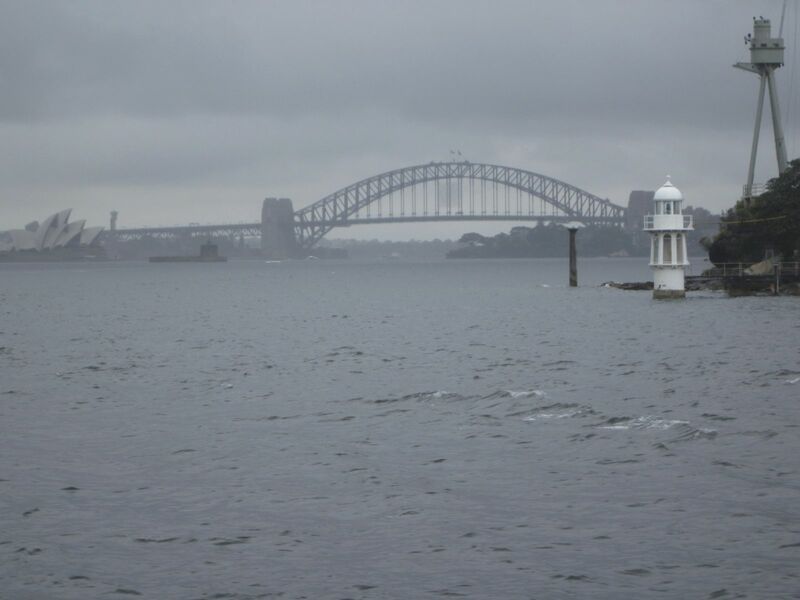 As you get great views of Sydney Harbour all the way to Circular Quay. Today the harbour was quite misty with the low lying cloud, but it was really nice. As I got off the ferry it started to rain again. Didn't worry me too much, as I had just another 10kms to ride to get home. Once home, I unloaded the bike and had a nice long hot shower. Then I relaxed looking at all the pictures I took along the way.